Ceiling fans circulate the air in a room, making indoor conditions more comfortable, but some owners complain about noises they make. 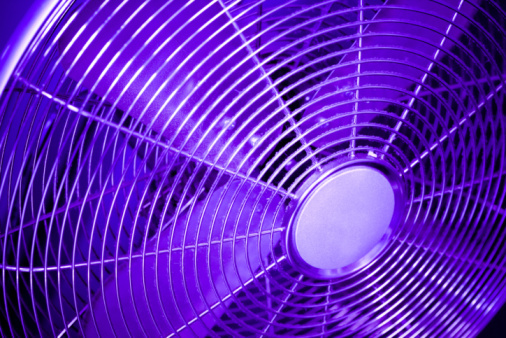 Many complaints involve a humming noise that doesn't dissipate when the fan is run at a slower speed. A hum in a ceiling fan is usually caused by the vibration of the motor, and the volume of the noise depends on the mount, housing and blades. Many modern fans have parts that mute the hum, but sometimes these parts fail. Replacement parts may need to be installed in fans, and other pieces might have to be adjusted to hush a hum. 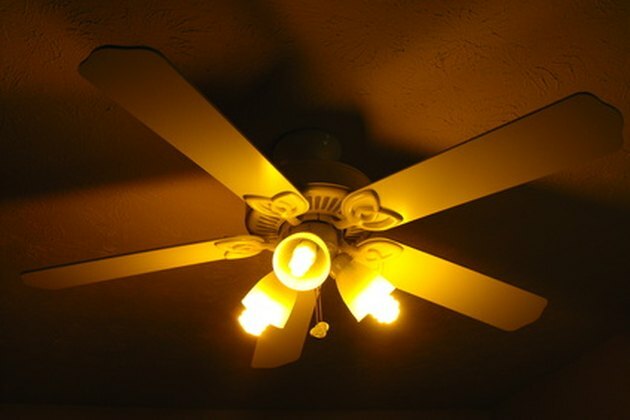 A ceiling-fan hum is caused by vibrations amplified by fan parts. Add rubber spacers to the area of the ceiling fan between the mounting bracket and the ceiling and between the blades and blade brackets. Some fans come with rubber or paper spacers, but they can wear out quickly, causing them to lose their muffling effect. Put rubber washers in the ceiling fan between the mounting bracket and the motor flange. Tighten screws and bolts on the light shades and fan blades. Replace the rubber flywheel -- which attaches blade brackets to the motor on more expensive ceiling fans -- when it wears out and falls apart. Replacement flywheels for older models may be difficult to find. Run new ceiling fans and those that haven't been turned on in awhile for 12 to 24 hours. Ceiling fans often make a humming noise -- especially at low speeds -- which stops after the fan runs long enough for all the bearings to be lubricated. Check the electrical switch your ceiling fan is connected to. Sometimes the electrical switch produces a humming sound when the fan is running. Replace a faulty electric switch or connect the ceiling fan so you can operate it by using the pull-chains.